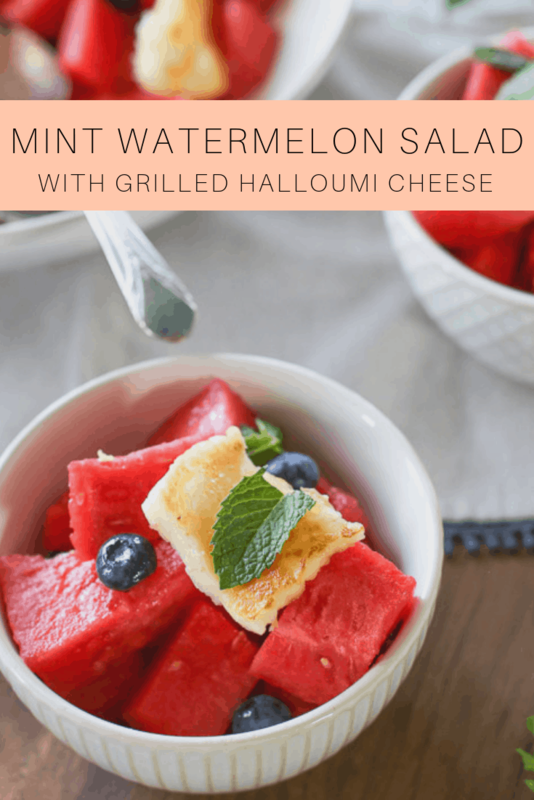 I made this grilled halloumi and watermelon mint salad yesterday and it’s gone already. 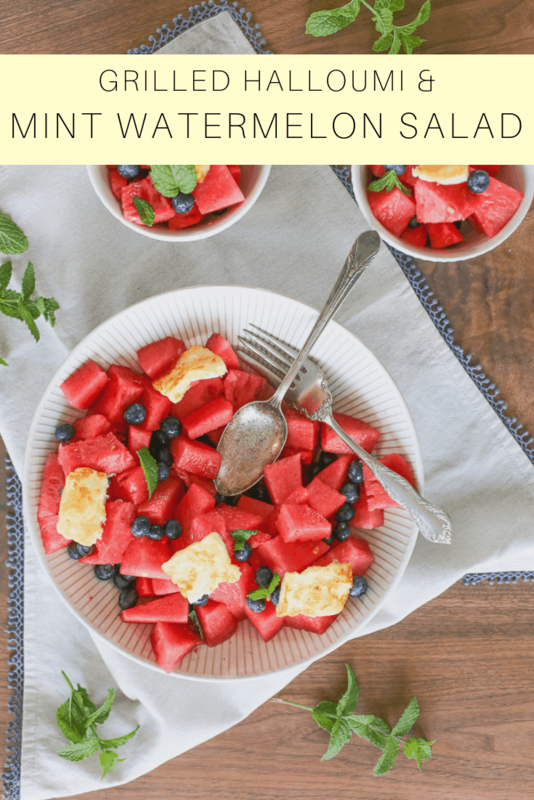 Another amazing watermelon salad to add to the recipe list. The grilled halloumi is a must and by now I hope you have made it to Trader Joes and have added an ungodly amount of halloumi cheese to your freezer. 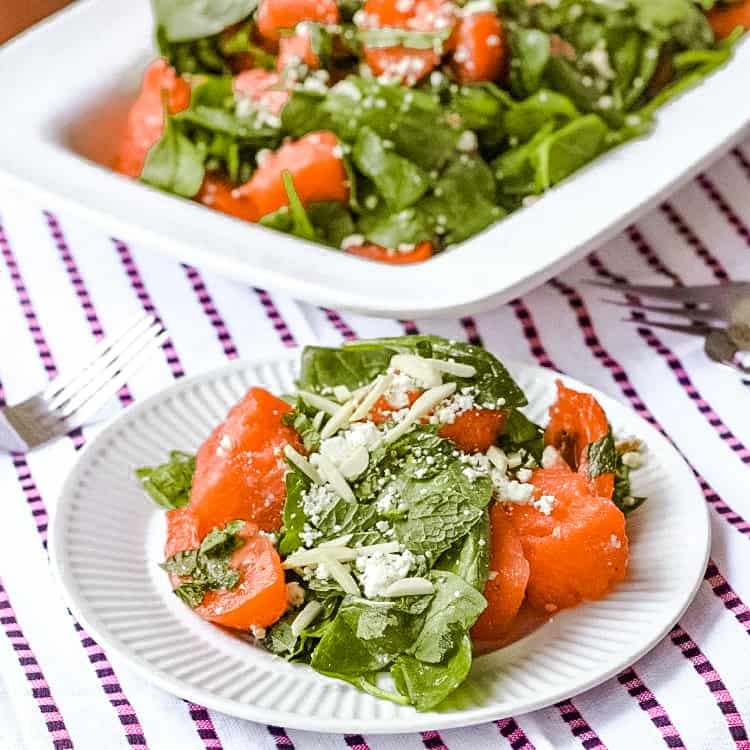 The hardest part of this salad is picking out the watermelon. I feel like I can hear all of you guys sighing in agreement. I’ve picked more than my share of mediocre to abysmal watermelon and after the last doozy (seeded, slightly pink with no flavor AND $7), I was ready to call it quits. But my watermelon craving can’t be ignored and so I tried again thinking that at least this time it’s only $3 down the drain and not $7. 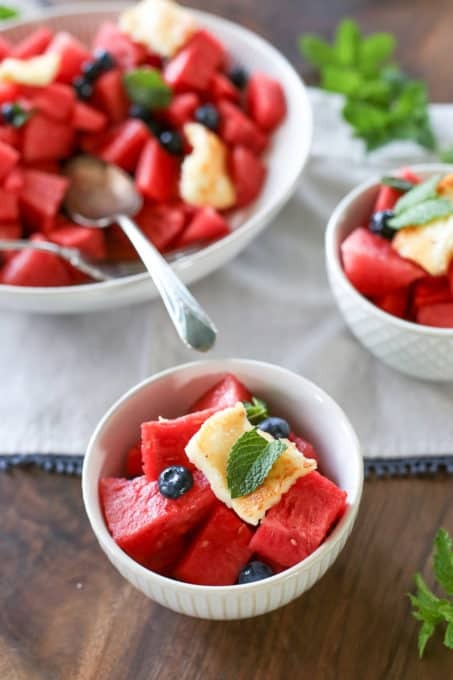 We had just visited friends in Maryland and we had the watermelon conversation where we all shared our ways of picking the right one before we all conceded that it’s a crapshoot after all. I decided to go with their method of “hollow,” whatever the heck that means, and added another tip I had read somewhere that insisted the watermelon should have a light green spot. Well, my friends, hollow and light green does it. This one was amazing and totally worth every penny. The next one was also a winner. 2 for 2 so far. 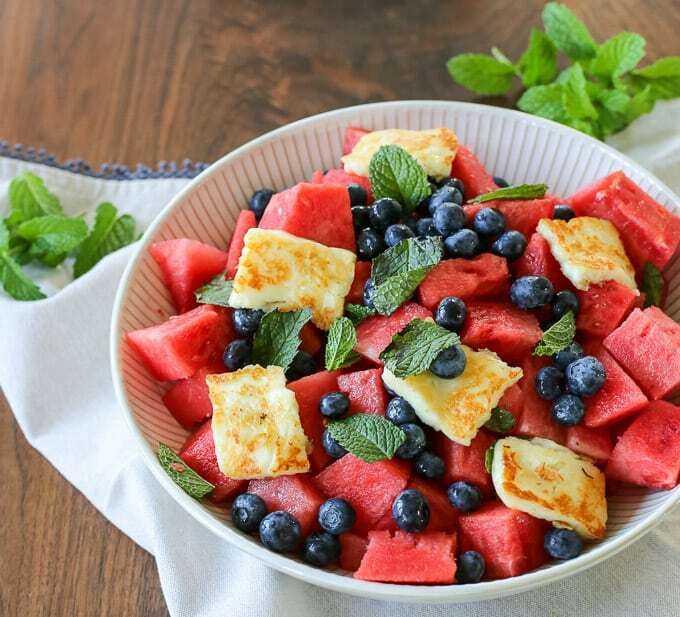 But back to this heavenly halloumi and watermelon mint salad. 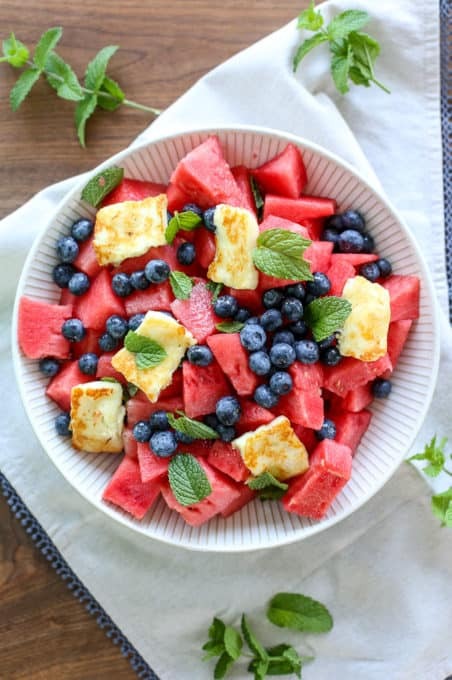 I feel like I’m going back to my roots by pairing the grilled halloumi with mint. 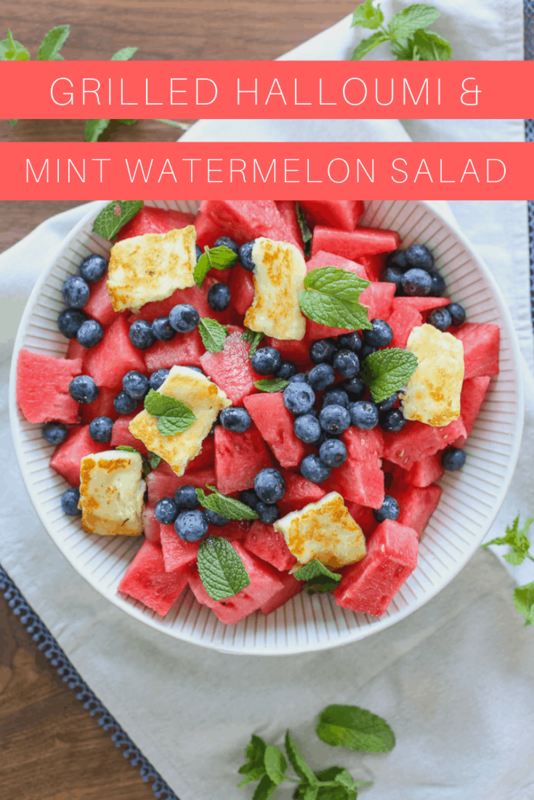 The combo pairs so deliciously and the watermelon gives it a boost of flavor. Blueberries are a happy addition. You can serve the halloumi fresh but it really does taste much better grilled so if you don’t want to fire up the grill, then slice it and cook it stovetop (in a pan on medium until it lightly browns on both sides). Mix lime and liquid sugar together in a small bowl. 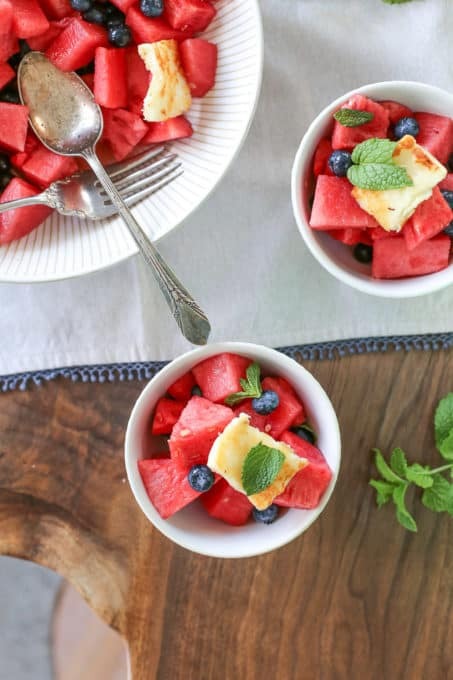 In a large bowl, place watermelon and blueberries. Drizzle sweet lime mixture overtop. Top with grilled halloumi slices and mint leaves. 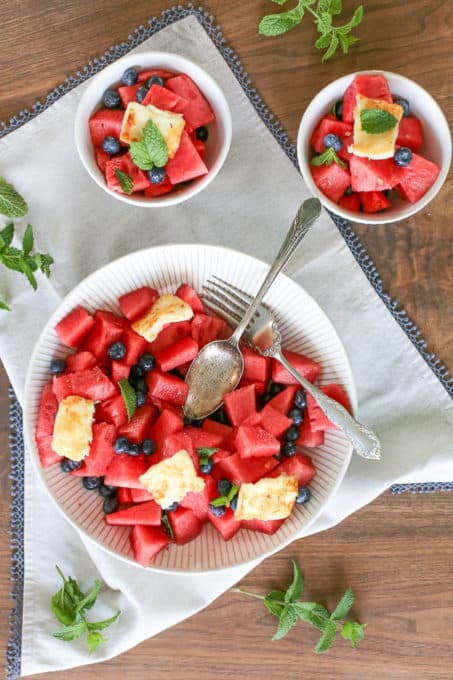 Ummm fresh fruit and grilled cheese! The has my name all over it! Yum!